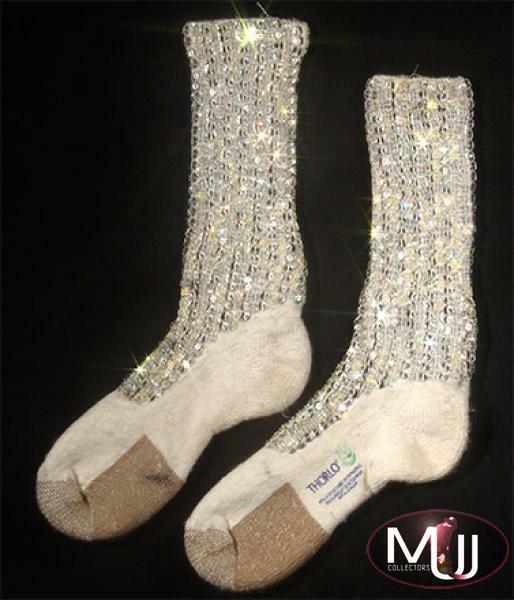 These socks were custom designed for MJ by designer Bill Whitten for MJ's use on the 1984 Victory Tour. The tops of the socks are covered in hand sewn Swarovski loch rosen, and square crystals. Sold by Julien's Auctions (Lot #355) for $60,000 at their 2009 Music Icons auction.